Nuts can be a delicious and healthy snack option, but only if you choose the right kind! The next time you're feeling a little nutty, try one of these fit-friendly varieties to fuel your body. Due to their high fat content, nuts were once thought of as a food to be avoided. Of course, that was back when people thought eating fat made you fat, which started the low-fat, high-carb craze of the 1980s that proved disastrous for the health and weight management of millions of Americans. We now understand the importance of fat in the diet, to encourage fat loss and promote overall health. Getting ample amounts of monounsaturated, and even saturated fat, can support healthy levels of testosterone in men. 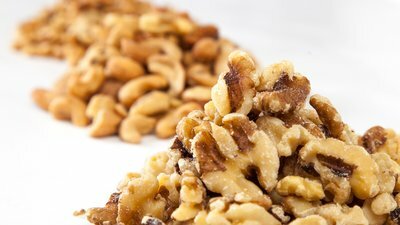 Most nuts are high in monounsaturated and polyunsaturated fats. But not all nuts are created equal! Grab a handful of one of these healthy options for a quick snack, or incorporate them into your baking and salads. You'll be doing your physique and your heart a solid! Of all the nuts, almonds have the most going for them. They're fairly high in protein, and half of their carbs come from fiber. Plus, the monounsaturated fat, vitamin E, and magnesium content of almonds may promote heart health. Research even suggests that consuming almonds can aid fat loss, finding that subjects eating 1.5 ounces of almonds per day reduced their waist circumference, abdominal fat mass, and leg fat mass significantly more than subjects getting a similar calorie amount from complex carbs. Watch out for products that take a perfectly healthy almond (or any nut) and add sugar to it with delicious-sounding flavors. I recommend steering clear of anything that says "honey roasted" or "barbecue." Walnuts are the only nut to provide a decent amount of alpha-linolenic acid, the plant form of omega-3 fatty acids. Although ALA is an omega-3 fat, it still needs to be converted in the body to the major omega-3 forms (EPA and DHA), so include plenty of fatty fish in your diet as well, or take a supplement, like Omega JYM, to cover your bases. Walnuts have also been shown to support heart health. They aid your body's production of nitric oxide, which is critical to maintaining the elasticity and dilation of blood vessels, and help maintain healthy cholesterol levels. Some people don't like the bitter taste of walnuts. A delicious way to include walnuts in your diet is to add a half-ounce of walnuts to a cup Greek yogurt along with some honey. This works well to cover up most of the bitterness. Peanuts are an excellent source of monounsaturated fat, which can support testosterone levels. They're also higher in protein than most other nuts, and low in carbs, making the peanut one of the healthier, more beneficial nuts you can eat. The same pretty much holds for peanut butter, making it a perfect treat to enjoy when following a low-carb diet. Go for all-natural peanut butters without added sugars to avoid trans fats. Eat two Brazil nuts, and your selenium needs for the day are met! Cashews tend to be popular due to their taste, though they have less healthy fat (and therefore fewer calories) per ounce than other nuts. Cashews are also higher in carbs than most other nuts, with only 1 gram per ounce coming from fiber. They do, however, have a decent amount of protein, so keep that in mind when choosing which nut you want for your snack. 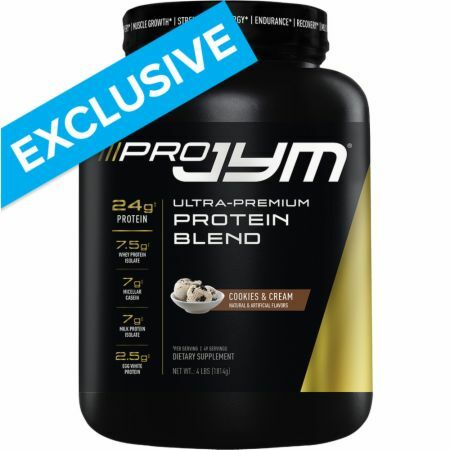 Visit JimStoppani.com for more workouts, training tips, and articles on nutrition and supplementation. Volek, J. S., Kraemer, W. J., Bush, J. A., Incledon, T., & Boetes, M. (1997). Testosterone and cortisol in relationship to dietary nutrients and resistance exercise. Journal of Applied Physiology, 82(1), 49-54. Chen, C. Y., Lapsley, K., & Blumberg, J. (2006). A nutrition and health perspective on almonds. Journal of the Science of Food and Agriculture, 86(14), 2245-2250. Berryman, C. E., West, S. G., Fleming, J. A., Bordi, P. L., & Kris‐Etherton, P. M. (2015). Effects of daily almond consumption on cardiometabolic risk and abdominal adiposity in healthy adults with elevated LDL‐cholesterol: a randomized controlled trial. Journal of the American Heart Association, 4(1), e000993. Feldman, E. B. (2002). The scientific evidence for a beneficial health relationship between walnuts and coronary heart disease. The Journal of Nutrition, 132(5), 1062S-1101S. Lauretani, F., Semba, R. D., Bandinelli, S., Ray, A. L., Guralnik, J. M., & Ferrucci, L. (2007). Association of low plasma selenium concentrations with poor muscle strength in older community-dwelling adults: the InCHIANTI Study. The American Journal of Clinical Nutrition, 86(2), 347-352. Beck, J., Ferrucci, L., Sun, K., Walston, J., Fried, L. P., Varadhan, R., ... & Semba, R. D. (2007). Low serum selenium concentrations are associated with poor grip strength among older women living in the community. Biofactors, 29(1), 37-44.